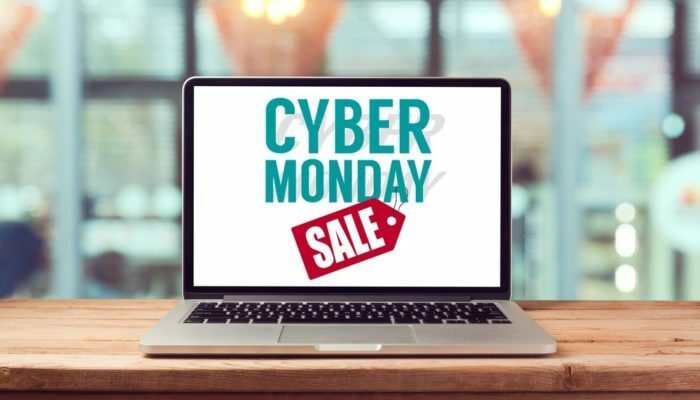 It’s Cyber Monday, and that means there are deals and discounts for cryptocurrency investors to take advantage of. After families everywhere gather for Thanksgiving and appreciate the things they have in life, the day immediately after, known as Black Friday, is a day for trampling others in retail stores in order to buy the things you don’t have, usually at a deep discount. The savings extend from retail to online the first Monday following after Black Friday in a day dubbed Cyber Monday. With Bitcoin prices continuing to tumble, cryptocurrency investors may be more interested than ever in saving a few bucks this Cyber Monday. Among the most important things a cryptocurrency investor can do is to protect their investment. Keeping cryptocurrencies like Bitcoin on an exchange can be a risky move and may lead to theft. Web- and other internet-based wallets such as mobile apps are better than keeping funds on an exchange, but cold storage via a hardware wallet is recommended for the highest level of security and peace of mind. Leading cryptocurrency hardware wallet manufacturer Ledger, is offering their best-selling Ledger Nano S USB cold storage wallet for 50% off today only for Cyber Monday. Ledger recently announced a range of different colors available for the Ledger Nano S, however, Ledger is only offering the discount on the Matte Black model. Trezor, Ledger’s fiercest competitor in the hardware crypto wallet space, is holding a Cyber Monday deal of their own. Today only, it is offering a buy two, get three deal for the Model One hardware wallet. The Cyber Monday deal beats out the Black Friday discount which only offered 33% off a Trezor hardware wallet. If you are already doing Cyber Monday shopping online, you might as well earn Bitcoin as you shop. Retailers like Macy’s, Walmart, and many more are offering up some of the best deals of the year, and are available on through Lolli’s Google Chrome add-on. Using Lolli, the add-on software will alert you if a website you are shopping on is eligible for a Bitcoin reward. Dozens of popular retailers are eligible for Bitcoin returns. In case the aforementioned savings weren’t enough discounts for Cyber Monday, some of the best deals available today are on cryptocurrencies themselves. Bitcoin is currently trading at roughly $3,750, a nearly 80% discount off Bitcoin’s all-time high price of $20,000. Ethereum, which was trading at $1,200 at the start of 2018, is currently 90% off, at a price of $110.